Mira is a dangerous place late-game without a powerful Skell. 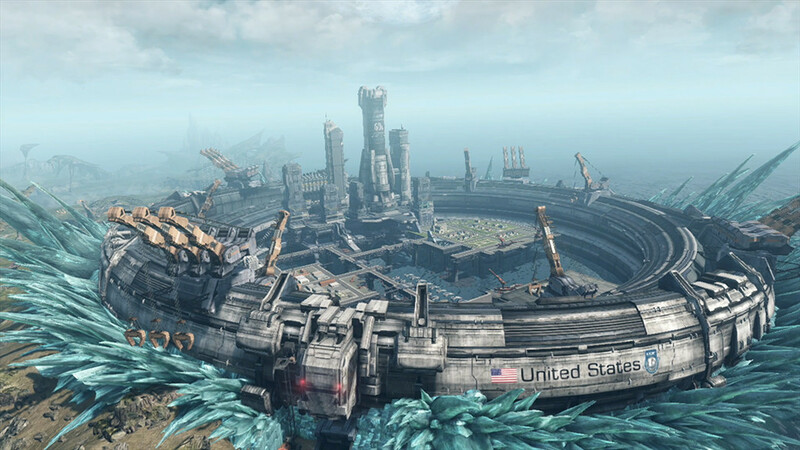 Those powerful Xenoblade Chronicles X mechs are only available to adventurers with a huge stack of credits. Thankfully, there are multiple ways to get the cash you're going to need. Check out the methods for easy and quick credit farming right here. Credits don't seem like a valuable resource until Skells become available to buy about 30 hours into your first adventure. Buying gear for your on-foot party members suddenly looks like a pittance compared to the steep prices Skells go for from NLA vendors. Find great spots for fast cash with the tips below. Cut down your adventuring time and save up for a Lvl. 50 Skell with two amazing farming locations. One works mid-game while you're still working toward those first Skell purchases. The early method will net you a quick 50k per instance. Late-game, after unlocking the Flight Module Skell upgrade, you'll be able to explore even more of the vast continents of Mira and face its toughest opponents. This is when you'll be able to farm 250k or more in no time. Valuable resources are available to collect at low to mid or even high levels at FN Site 224 in Noctilum. To reach FN Site 224, you'll need to travel north from Nopon Braidbridge. Cross over and follow the mountain path to a massive cave opening. It's located right next to Rockmole's Burrow if you have that location discovered. Geographically, the cave is northeast and above FN Site 218. Enter the cave without a Skell. The enemies inside will only attack if you're in a Skell -- they don't aggro if you're on-foot. This cave is home to a Tyrant named "Buchwold, the Guardian" with tons of item crystals scattered all over. The Tyrant will not attack if you're on-foot, allowing you to collect the item drops then fast-travel back to NLA. Selling the items you get from this cavern can net you upwards of 50k credits in about five minutes. Fast-travel back to the cave entrance and the blue item crystals will respawn. Once you've unlocked the Flight Module and have a Level 50 Skell, it's possible to make a million credits in fifteen minutes. Travel up to Sentinel's Nest in Noctilum. The area is an Unexplored Territory in northwestern Noctilum. There is a huge alien branch hanging over a long waterfall. Fly to the top of the waterfall to explore the purple terrain. This area is home to high level monsters. Defeat the Crazed Aeviters inside and sell the blue/green item drops for huge profits. Once again, to defeat these xenoforms you'll need to be around Level 60 with a Level 50 Skell. It's a quick way to make XP and millions of credits in 15-30 minutes. Want even more money? After completing the story, credits are a non-issue thanks to certain Support Missions. Check out the quest list in NLA and scroll down to take "Scouting Antropolis" -- it gives a 300k reward per completion. With a good Skell, you're looking at about one minute of work to finish the Support Mission. This is a locked quest that only becomes available after completing the main story and defeating the final boss.